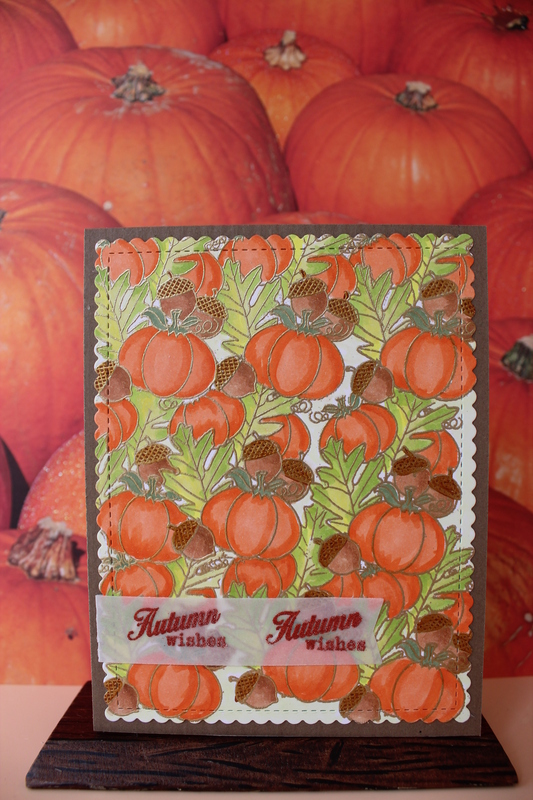 It is Monday so that means a new challenge on the Papertrey Ink Blog. 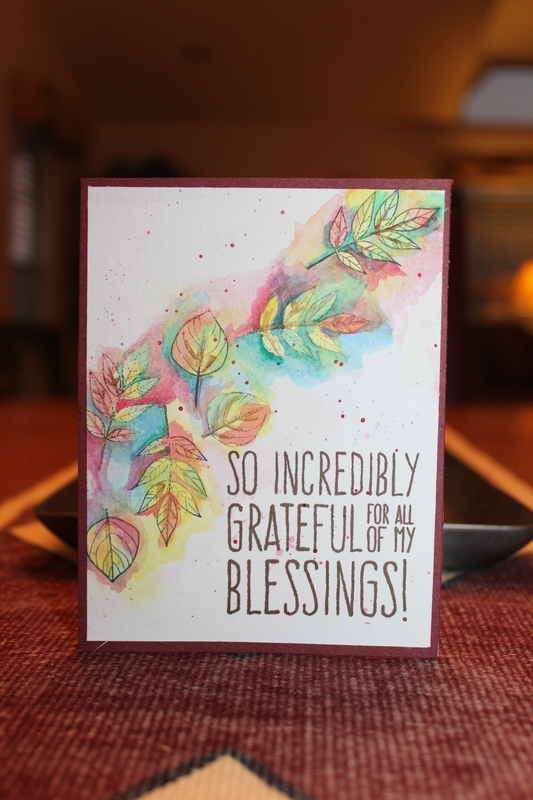 The challenge is to do a gradient watercolour background using any medium that would do the trick. Finding a type of watercolour in my stash is not a challenge as I have several types. but finding a suitable subject for the project was not as easy. 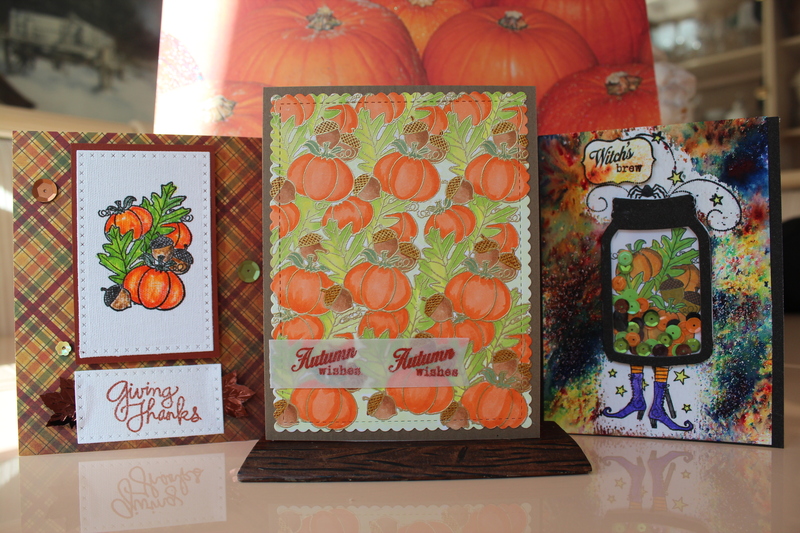 I don’t have any Papertrey Ink cover plates like the one Dawn used in her sample, but I decided that I could accomplish the same thing using multiple What the Doodle-Feather die cuts. 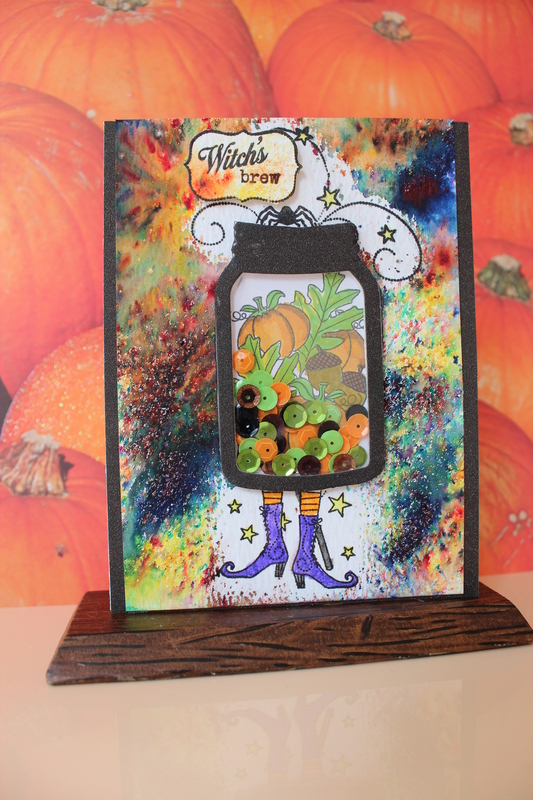 That was great fun as I am loving all the What the Doodle stamp sets and dies and was happy to try another project with them. The amount of gradient was relatively small so I decided to let the gradient show in the form of a border as well. I think it turned out well. 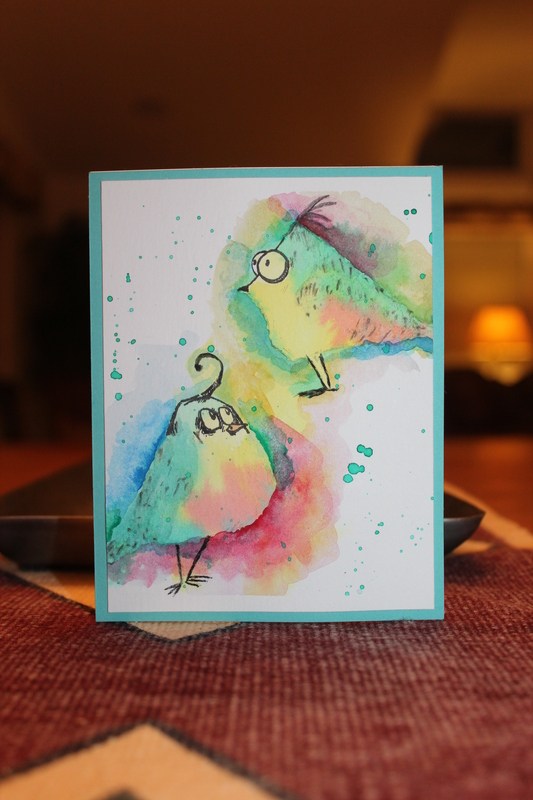 I finished off the card with a glitter pen, Wink of Stella and my other current favourite things, being rainstones. 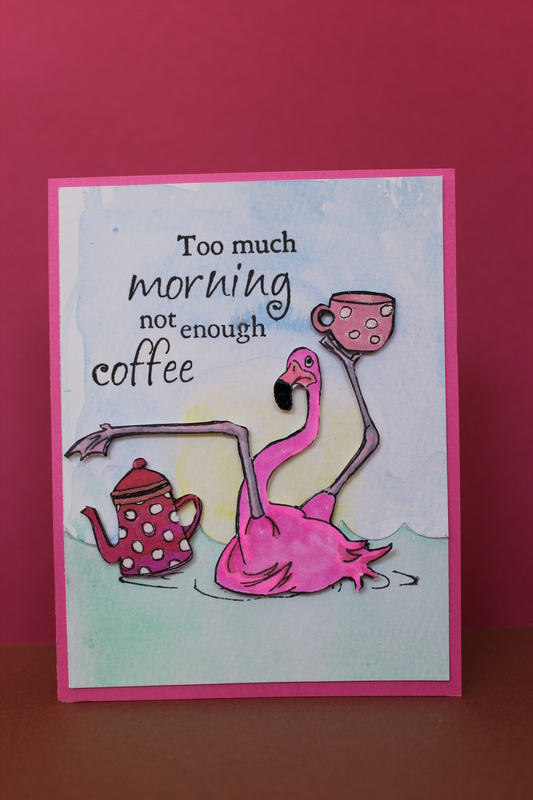 In doing this card, I was reminded of why stage actors do dress rehearsals………….unexpected things go wrong when you don’t rehearse in full costume. On the first card, I decided at the last moment to add the Wink of Stella. Usually this is no problem but somehow on this card it was. When I brushed on the Wink of Stella it somehow released moisture on to the intense watercolour and reactivated it. Did I notice it on the card when I made it……………..no. Did I notice it on the card when I photographed it …………………..no. 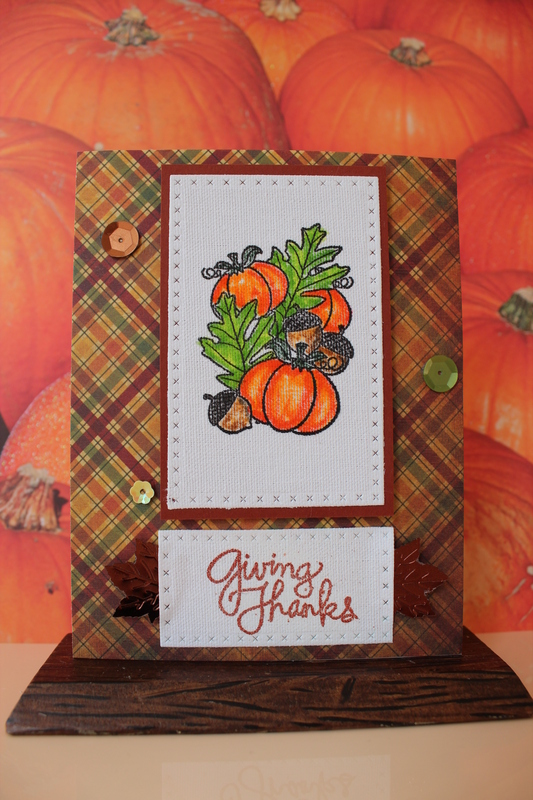 Did I notice it AFTER I posted the card on my blog……………….oh yeah! It looks like a portrait photograph where the subject has spinach stuck in her teeth. Just not good……….. So I fixed it with a little Signo Uniball white pen. Still, I decided to learn from the dress rehearsal and make another one with the Wink of Stella applied on the feather and DRIED before attaching to the gradient card base. Too bad the trouble causing sparkle doesn’t show up more in the picture as it is lovely. 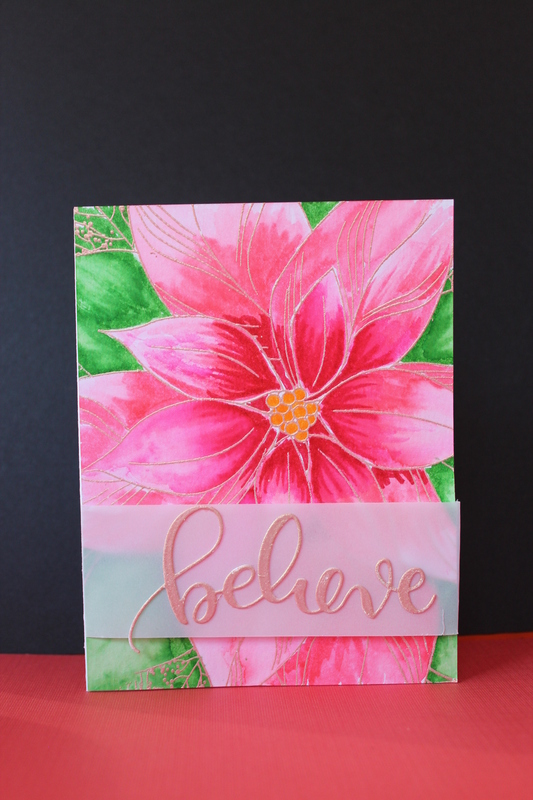 Supplies: Papertrey Ink What the Doodle die set, Papertrey Ink Celebrate die, Zig Real Brush Markers, Sakura Glitter Pen, Wink of Stella, Pretty Pink Posh sequins, Distress Watercolor paper, Papertrey Ink Rainstones, Scor tape and Simon Says Stamp Card base.